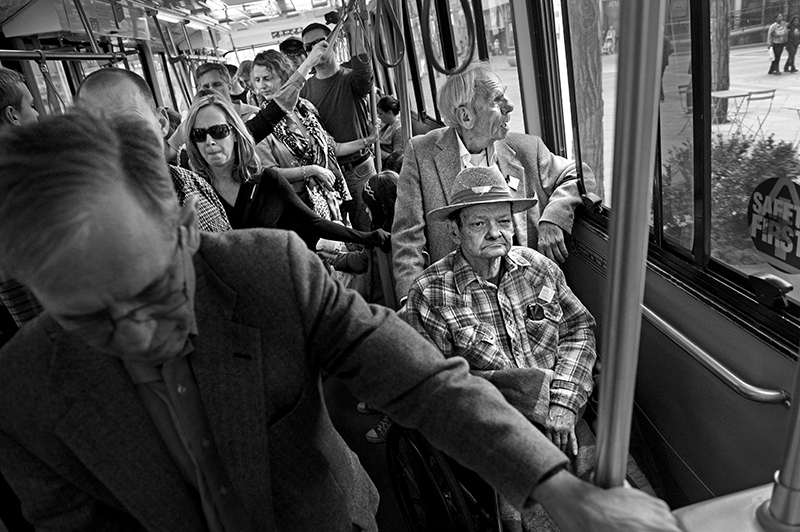 "Cecil and Carl, In Sickness and in Health"
Cecil and Carl ride the 16th Street Mall shuttle through downtown Denver. The couple met in 1969, which Cecil fondly recalls. "Wordsworth said this; 'To be young was very heaven,' and we were young in those days," he said. "It was sort of like not having enough money - it was an inconvenience being gay and having to work around the system, but you could still have a damn good time."